When will the University of Uyo (UNIUYO) release the Post-Unified Tertiary Matriculation Examination (Post-UTME) screening application form for the 2019/2020? Is UNIUYO Post UTME Screening Form out? The truth of the matter is that UNIUYO Post UTME Screening Form is not yet out at the time we where writing this article but we Shall give a you step by step guide on how to process your forms online, the date when you should expect the form and the method of screening UNIUYO will adopt this year. Before you will be allowed to sit for the university of Uyo post utme exams you ought to have chosen the institution as your first choice, not only that you must score at least 180 in the 2019/2020 jamb exams. All candidates that are dime eligible will pay a non refundable fee of 2,000 naira. This money can be paid online or through the bank. You are expected to use any of the links above to access the post UTME screening form. Ensure that your fingerprint are captured by the system, make sure that your passport is correctly uploaded. Come along with a copy of your screening form acknowledgement slip, ensure you also attach a recent passport of yours on it. Your JAMB slip also will be required from you at the entrance of the exam hall. The management of the university of Uyo has not yet made the date open. Immediately the post UTME screening date has been fixed you shall be well informed about it while at the same time you will be expected to complete your registration within the said period. The screening date is not yet out. The university of Uyo like every other school has adopted a new grading system in conjunction with the joint admission and Matriculation board jamb. The new grading system seeks to award candidates who perform exceptionally in their O level results. 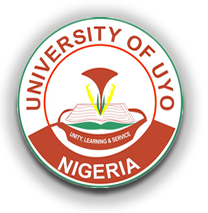 Check UNIUYO grading system below. UNIUYO is located in Akwa Ibom State which is one of the richest oil states in Nigeria. The university remains one of the few universities that offers free and qualitative health care delivery services to not only students but also staffs and their members. Although members of the public are still allowed to access free health care services but more priority is placed on students. UNIUYO permanent campuses: this campus houses some important facilities and faculties like the faculty of engineering, International Centre for Energy and Environmental Sustainability Research, admin offices and above all UNIUYO Postgraduate school. UNIUYO Town Campus: this campus houses larger number of students who are in the faculty of social sciences, Art, education etc. UNIUYO Annex Campus: if you secure an admission into the faculty of law, business admin, Agric you will have to receive your lectures here. Ime Umana Campus, Ediene Abak: this campus is designed to accommodate those who in the pre degree programme.